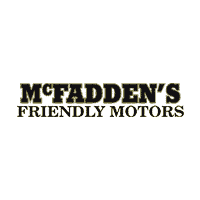 Now that you’ve found your favorite Chrysler, Dodge, Jeep, or Ram vehicle from the new vehicle inventory at McFadden Friendly Motors in South Haven, MI, it’s time for you to take a test drive! Whether you’re in need of a hardworking and powerful Ram 1500 pickup or a family-friendly and luxurious Chrysler Pacifica, when you schedule a test drive, you’ll learn for sure whether you’ve picked the perfect vehicle for you. During a test drive, one of our product experts will help you learn how to use all the features and teach you all of the most important specs of your favorite model. After your 15 to 20 minute drive, you will have a much better idea of whether the model you picked is right for your daily adventures. To schedule your appointment, simply fill out our form provided below with all of the required information and one of our McFadden Friendly team members will be in touch with you shortly! Do you have any questions about what your test drive will entail or any of our other services? Don’t hesitate to give us a call at (888) 928-1409. We’ll be happy to answer whatever questions you may have.